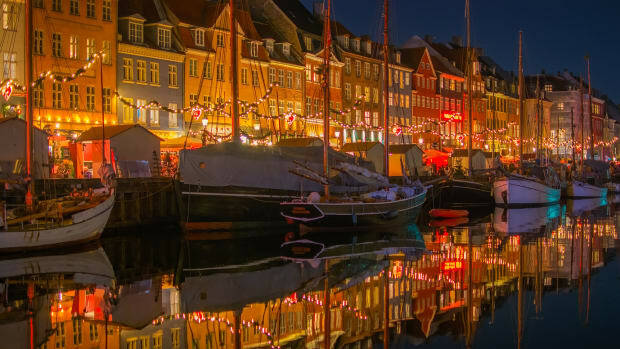 This post originally appeared on our sister site, Sail Magazine&apos;s Sail Feed. The original Magenta Line mapped in the 1930&apos;s.
The $64,000 question on everyone’s mind is, after Florence clears out, the damage is assessed, people begin to return to the coast and rebuild their lives, what has changed in the ICW? While it is far to early to tell, I am confident that the USACE (US Army Corps of Engineers) and USCG will be working on the waterway as soon as it is safe and practical. Let’s look at the good news. 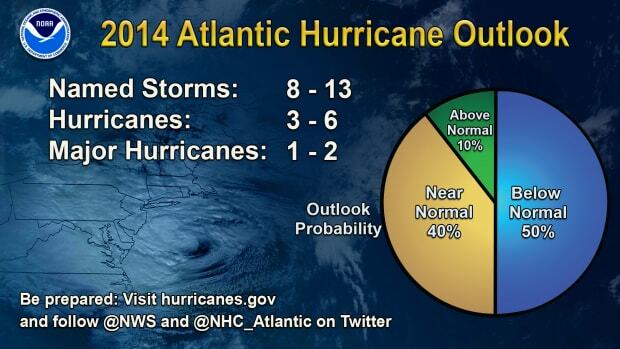 As of the Thursday 9/13 projections, the ICW south of Charleston may not be heavily impacted. Several areas between Charleston and Savannah were dredged this year, so this section of the ICW should be better than last year. Georgia has its share of shallow places. Georgia could really use some dredging, but the good news is that Florence is unlikely to make the ICW any worse in GA this year. At the northern end of the ICW, between Norfolk and Beaufort NC, the ICW itself is probably not going to see any negative effects. 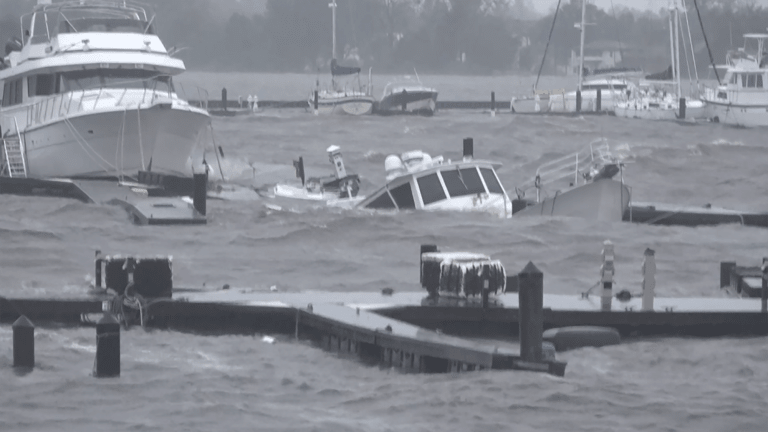 However, all of our friends in the Albemarle and Pamlico region particularly Oriental and New Bern are going to experience a significant storm surge, flooding and damage to homes, marinas and boats. 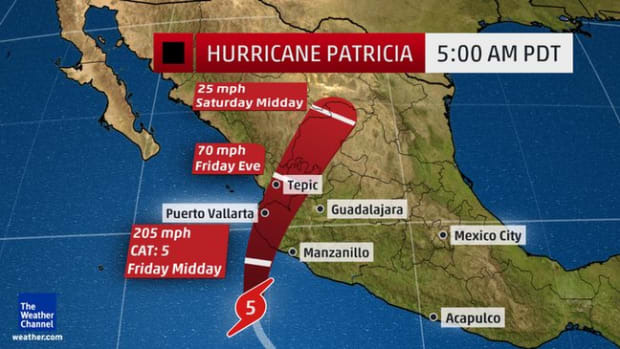 These towns will feel the effect of hours and or days of very strong east wind pushing water to the west and flooding the towns, marinas and homes. The portion of the ICW most likely to be affected by Florence, is the 270 miles between Beaufort, NC and Charleston, SC. You can probably get local knowledge from the TowBoatUS and SeaTow operators. The marinas along this stretch are probably going to be off line for quite a while. There are a lot of swing bridges in this area. They are prone to damage in winds storms. Call for updates before leaving the Beaufort area. Expect that the marinas will be damaged. It is very likely that you will be anchoring most nights. Fuel may not be available between Beaufort, NC and Bucksport, SC for several weeks after the storm. 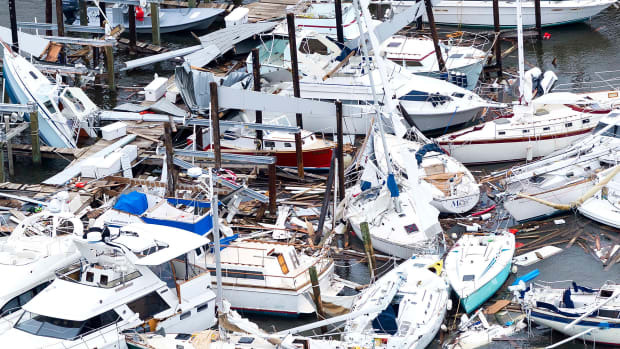 Hurricane damage from the eyewall destroys North Carolina Marina. Bogue Sound Stm 210 to 213. Last summer, shoaling was reported on the green side Bogue Sound R 10 and Bogue Sound R 14 for a distance 10 yards into the channel to a depth of 1-2 feet MLW. With the strong east and southeast winds of Florence, this stretch is likely to get even worse. Transit near high tide (you only get about 1.5-2 feet of tidal help in Bogue sound.) and stay close to the reds. Browns Inlet STM 239. Was dredged in 2017, is now filling in from the green side. Expect this inlet to shoal more as a result of the storm. Look for local knowledge. Expect about 3’ of tidal help. New River Inlet STM 245. This inlet already has some challenges. It has been surveyed by the USACE, however all that information will be suspect after the storm. It already has a dip in the magenta line where it crosses the New River. Watch for updates from the early south bounders. 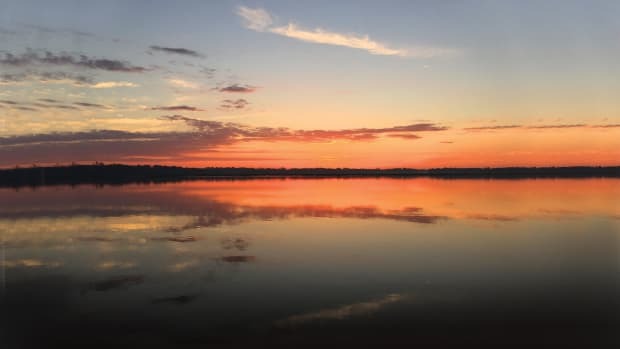 Call Swan point Marina, 910.327.1081. Expect 2.5 feet of tidal help. Black Mud Channel STM 270. Dredged spring of 2017. Shoal already building in from the east. Expect more filling. About 3 feet of tidal help . Carolina Beach Inlet STM 292 Dredged spring of 2017. The inlet crossing has been greatly affected by previous hurricanes. As of 9/13 it looks like the area of landfall for Hurricane Florence. Do not attempt this area without local knowledge after the storm has cleared. Expect 5 feet of tidal help. Contact TowBoat US 910.367.0868 for updates. Snows Cut Several reports of shoaling near the west end. R 162 appears to have been reset much farther to the south. It is unclear whether the storm will have any effect in Snows Cut . The Little River inlet crossing is going to have strong winds buffet it for 48 hours. As of 9/13 this is in the direct path of the Eye of Hurricane Florence. There will be a month or more of currents carrying out the flooding inland. Three old swing bridges in the area. 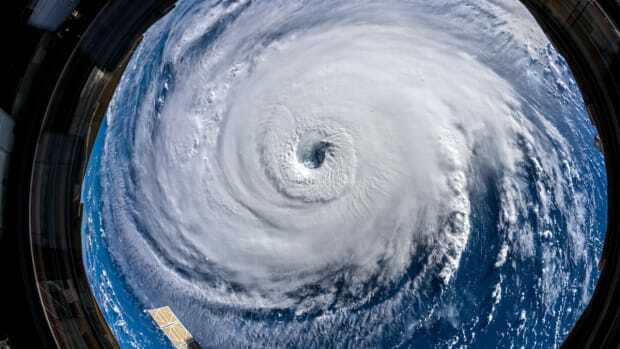 Call to confirm they are operational: STM 241 Onslow Beach Bridge 910.540.737.6 STM 261 Surf City Swing Bridge 910.328.4291. STM278 Figure 8 Island swing bridge 910.686.2018. Call to confirm operation. STM 283 Wrightsville Beach Bridge 910. 256. 2886 a bascule bridge. Call to confirm its operations. Myrtle Beach. As of 9/13 this area will have a close brush with Hurricane Florence. The town and marinas are probably going to take a bad hit. The ICW itself is probably going to be OK. 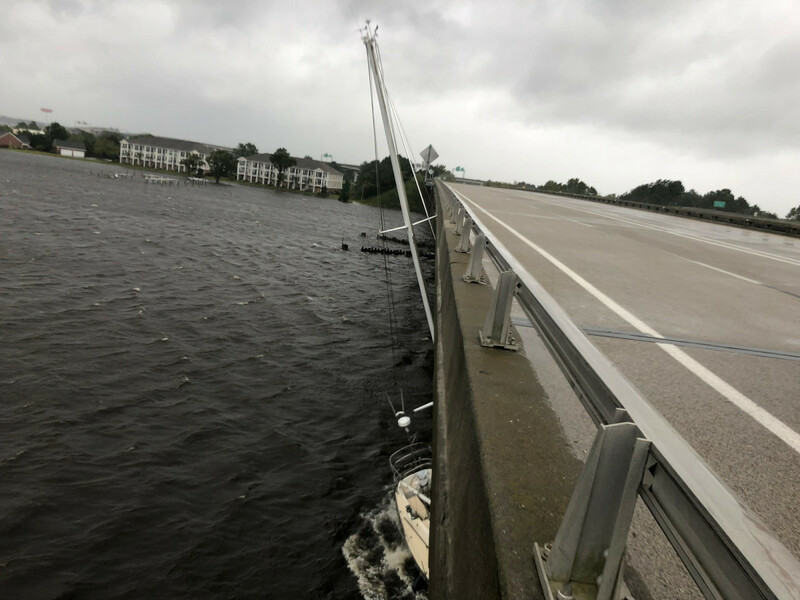 There are two swing bridges (little River Swing Bridge843.280.5919) ((Barefoot Landing Swing Bridge 843.361.2391) which may be damaged. Call well in advance if you are headed to Myrtle Beach. 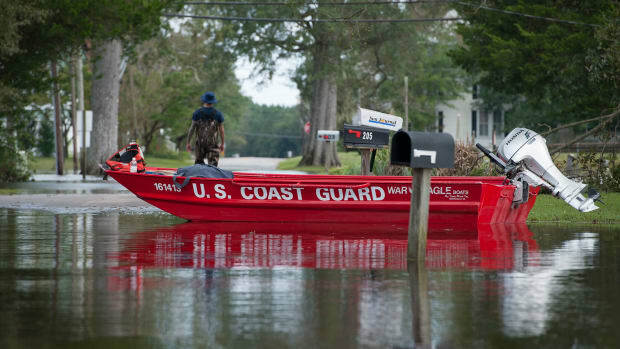 In the Socastee area after Matthew the homes ere flooded for several months the USCG established and enforced a 4 MPH speed limit from Myrtle Beach to Bucksport after Hurricane Matthew. Expect the same. It will be slow going. Estherville Minim Creek Canal. STM 410 North end. A 6-foot shoal was building during 2017-2018. It won’t be getting any better after this storm. Santee River crossings. STM 416 Expect very strong cross currents for a month or more as the inland flooding drains to the sea. Use previous tracks for guidance but expect the channels to have shifted. South of McClellanville. STM 430 to 433. A known problem area with only 4.5 feet at low water. Watch for updates as this stretch has been getting worse. You do have 6 feet of tidal help. Between McClellanville and Charleston you have to traverse the length of Bull Bay and then also cross several active (But non-navigable) inlets including Price ,Capers and Dewees, before you arrive at Isle of Palms. As of 9/13 this is area is expecting a close pass of the eye of Hurricane Florence. It will spend several hours in the dangerous Quadrant. Ben Sawyer swing bridge has been damaged in previous hurricanes (843.883.3581 ). At this time there is no way to predict how much shoaling will occur. Once in the shelter of IoP you can expect shoaling in the ICW due to Breach inlet. There is already a 5-foot shoal in the vicinity of 117A It is safe to say that you may want to consider waiting for a window and then going outside from Winyah Bay to Charleston . 66 nautical miles. Charleston STM 469 As of 9/13 this is in the direct path of the Eye of Hurricane Florence. Sunday 9/16. 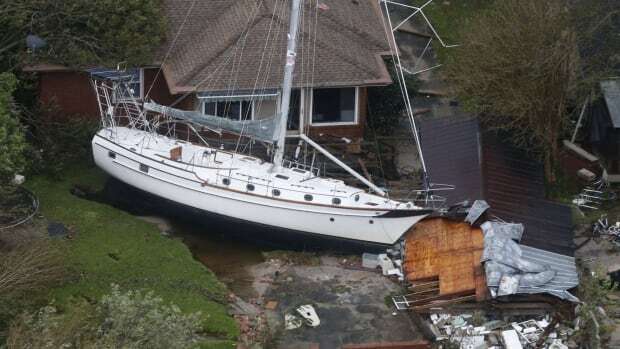 Expect that there will be damage to the marinas. Further updates will be posted as they become available. 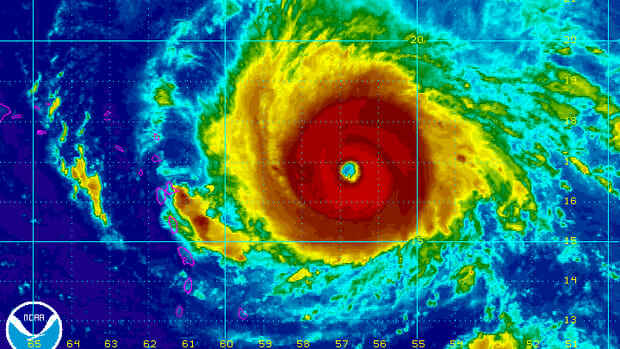 So-Called 'Nuclear' Hurricane Approaches U.S.